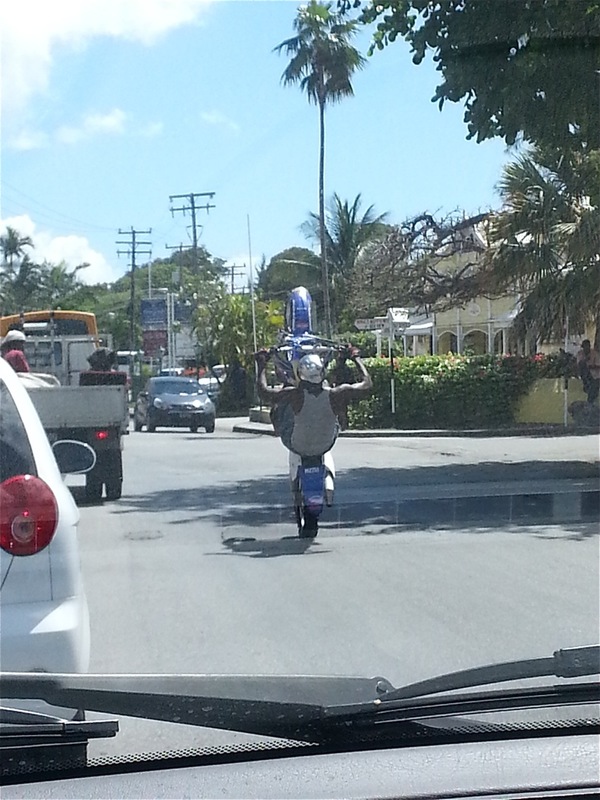 At about 2pm today, Tuesday March 26th, my husband and I were in the car at the busy intersection by Patisserie Flindt and the Limegrove Mall, traffic coming from all 4 directions, when we witnessed these 2 motor cycles popping wheelies while overtaking the line of cars. 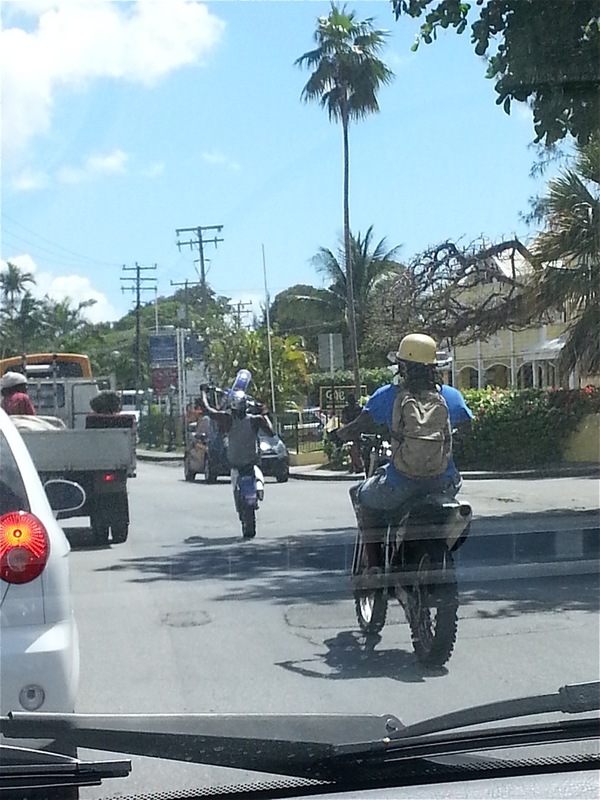 Just seconds before this, we witnessed these same 2 bikes plus 2 more and an ATV coming down the hill by St James Secondary School, and the ATV plus 2 of the dirt bikes were popping wheelies as they approached the junction. With the license number so readily available, why is it that the Police will not do anything? 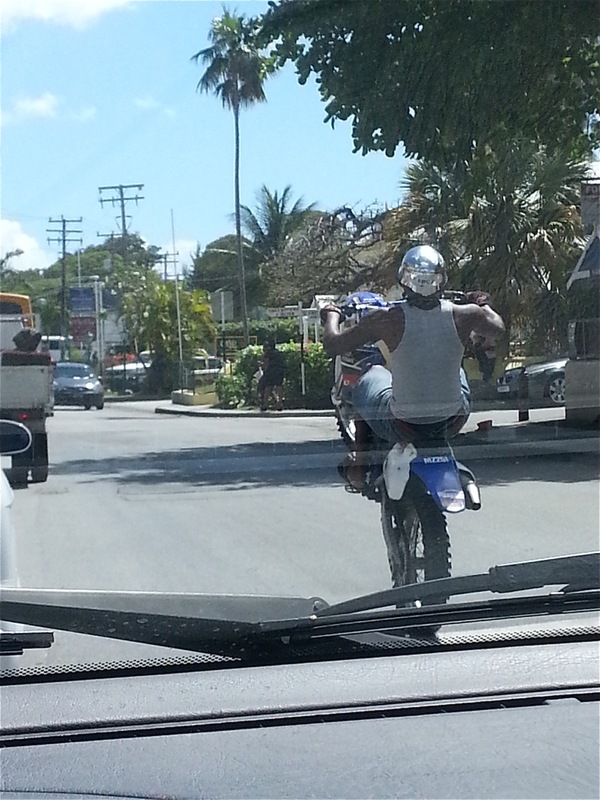 We live on the main west coast road and we witness these dirt bikes pulling the same stunts up and down the road every day. The stunts are dangerous and the bikes are excessively loud. The main west coast road is lined with nothing but expensive holiday homes on both sides between Holetown and Speightstown. Imagine what the tourists must think of this, or the fear they must have when witnessing such dangerous and disgusting behaviour. Our tourism product already has not got a good name without adding this to the mix.